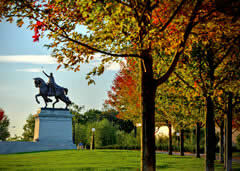 St. Louis is certainly an iconic American city and your trip here will be anything but dull. You of course will want to see the world famous St. Louis Gateway Arch while you’re in town but there is much more to this city that you won’t want to miss out on. The St. Louis metropolitan area is made up of the city and it’s surrounding areas in Missouri and Illinois so you’ll have a lot of ground to cover. St. Louis is a port city located on the Mississippi River, which forms the border between Missouri and Illinois. It is along the river’s western bank that the city of St. Louis sits. St. Louis is known for its finger-lickin’ good barbecue so make sure at least one of your meals includes a trip to the Soulard district which is home to some of the city’s finest barbecue restaurants. If you are a sports fan you can see the St. Louis Cardinals game or a St. Louis Blue Jays game while you are in town. The St. Louis Zoo and the City Museum are also must see attractions while you are here. No matter what you choose to do, one thing is for sure; you will enjoy your time in the Gateway to the West. St. Louis is one of the biggest cities in the country, boasting an iconic skyline with the Gateway Arch and a massive 600-foot archway being the focal point. Known for its exciting clubs and unforgettable blues music, the city is one of the biggest tourist attractions in America, and for good reason. There are a number of free attractions to choose from in St. Louis. You can choose from the Science Center, Art Museum and Anheuser-Busch Brewery. The Missouri Botanical Garden sprawls just under eighty acres and includes a 14 acre Japanese garden. It was the home of Henry Shaw in the 1850s and happens to have the most rare and large collection of endangered orchids in the country. 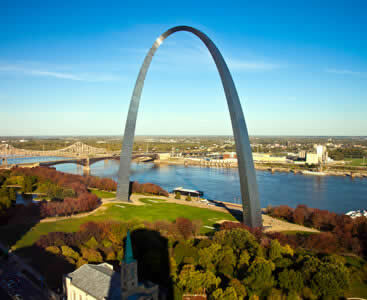 You could treat yourself to a panoramic view at the Gateway Arch, which spans the Mississippi River. You could ride a tram to the top to the Observation Deck. Commonly known as Lambert Field, Lambert-St. Louis International Airport serves the Greater St. Louis area. Located just under 15 miles from downtown St. Louis between Berkeley and Bridgeton, it is a very accessible airport for travelers. If you are stuck on a layover at STL airport you will find plenty to do to keep you busy at the airport. If you get tired of the terminal and want to leave the airport during your layover, there are a number of transportation options for getting to St. Louis’ many attractions. There is an assortment of taxis and airport limos available to take you there. As one of the oldest cities in America, St. Louis is filled with a bevy of interesting museums, iconic attractions, and unforgettable restaurants, making any kind of experience memorable – no matter how brief. When you arrive to Lambert-St. Louis International Airport, you’ll find yourself a whopping 14 miles from downtown, making transportation a necessary aspect of your trip, but just because something’s necessary doesn’t mean it has to be a pain. Go simple and efficient with a shared ride van with rides coming with a courteous driver and baggage handling, not to mention a cheap ride to your hotel. For large groups traveling into St. Louis for the first time, the busy streets can be confusing. The city is, after all, the one of the biggest cities in Missouri, meaning transportation isn’t a part of your trip to take lightly. Reserve a private van and enjoy the luxury of driving where you want, when you want. Take the vehicle to City Museum, an offbeat discovery center that has its own playground, perfect for families of any size. Afterward, spend the rest of the day walking through the Missouri Botanical Garden, which is host to a huge sprawl of gardens and exotic exhibits. Go on a tour through the Anheuser-Busch Brewery, taking an intimate private sedan on the way. If you’re more in the mood for some a quaint night of musical theater in an outdoor setting, buckle up and drive over to The Muny, a historic building that adds a splash of color to St. Louis’s arts scene. Be sure to ask the transportation service ahead of time if there are any deals being offered. The Jefferson National Expansion Memorial is basically attached to the famous Gateway Arch, turning the entire area into a never-ending tourist hotspot. Show up by parking around the corner with many private SUVs, spending the day exploring and seeing one the entire city from an astonishing perspective. Forever searching for the best is exhausting, but not when you do it every day. Eat at Tony’s, the fresh Italian fine-dining destination located on Market Street, offering an upscale interior and jaw-dropping dishes. Arrive to the restaurant in absolute luxury by reserving a stylish stretched limo going on to visit other luxe landmarks like the Hilton St. Louis at the Ballpark, which is home to high-rise rooms and an all-night rooftop bar. If there’s one thing big groups can all agree on, it’s a fun day of shopping at the mall. 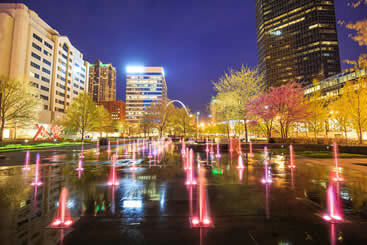 St. Louis is famous for being a huge shopping capital, something that becomes especially apparent when you see the Saint Louis Galleria, a multiple-tier shopping mall with tons of tasty restaurants in brand-name stores, from video games to upscale shoes. Reserve a chartered bus and head over with everyone happy and together. St. Louis’ weather can vary greatly from season to season, ranging from very hot summers to very cold winters so be sure to check the weather before your trip to ensure that you pack appropriately. The city has no mountains or large bodies of water to visit but there is plenty of nature to explore while you are here. → You’ll notice there are a great many trees in St. Louis. The trees that are mainly found in this area are the maple, oak and hickory. In a larger part of the city’s residential area, native shade trees are planted. → Forest Park has the biggest native forest. Many people come here in the fall to see the colors of the tree’s leaves change, which can be a beautiful sight. If you are more interested in art you’ll love spending a day at the St. Louis Art Museum. This museum is one of the finest and most prominent art museums in the United States. The museum is home to some of the most awe-inspiring items you’ll see on your trip. Ranging from cultural objects to sculptures to paintings all the way to ancient masterpieces, the museum’s exhibits are collected from all across the globe. → The museum building, which is located in Forest Park, stands three stories high and is a veritable treasure trove of history and culture. → The museum has featured exhibitions as well as regular exhibitions of art. It has quite a lot to offer and is an amazing place to see on your visit. Affectionately referred to by locals as Shaw Garden after its founder Henry Shaw. This place is well worth your time to see while you are in St. Louis, especially if you are a nature lover. The Missouri Botanical Garden is a breathtaking site. 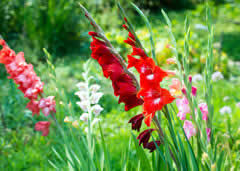 The garden is one of United States’ oldest botanical gardens. The facility is also serves as a botanical research center as well as an international repute science education center. There are numerous cultural festivals held in the garden annually. Some of the popular annual festivals hosted here include Chinese Culture Day and the Japanese Festival so be sure to check the schedule and see what’s going on the day of your visit. The garden is also adjacent to Garden Grove Park, another famed legacy of Shaw you may want to stop by to see after you leave Shaw Garden. → If you have children with you there is even a children’s garden that features a pioneer village, a water locking system and a fountain area that they will love. → Some of the gardens that are found in the institution include the Linnean House, Gladney Rose Garden, Climatron and there are several other amazing gardens. Located on Shaw Boulevard, The Missouri Botanical Garden is one of the oldest botanical institutions in the country, making it not only an aesthetic experience, but a great place to see history in the making. With a Japanese strolling garden, which is a ‘climatron’ geodesic dome, and even a children’s garden, this St. Louis hot spot is sure to please anyone. The Saint Louis Zoological Park is recognized for having one of the best conservatory programs in the world as well as being an entertaining place to bring the whole family. Spend an afternoon in one of the many park zones, including Lakeside Crossing, River’s Edge, and Discovery Corner, among others that offer educational and exhilarating experiences. Built in the mid 1960s as a way to honor stainless steel architecture, the Gateway Arch is an American landmark that not only inspires spectators from the outside, but the inside as well. You can travel to the top of the arch via a small Ferris wheel-like vehicle, so be sure to bring your camera. The St. Louis International Airport underwent a series of massive improvements in 2016, making it one of the most modern and efficient facilities around. With a series of fun restaurants, fun shops as well as an easy-to-understand parking area, the airport is definitely top notch. Because the Lambert Airport is 10 miles northwest of downtown, getting where you need to go is a bit of a trek, so make sure you have a transportation plan ahead of time. That isn’t to say the airport isn’t prepared for ground transportation – with rental services located on the lower level of Terminal 1, high availability of downtown shuttles, and public transportation offered by MetroLink, St Louis International makes it as easy as cake to get around. The Westin St. Louis is one of the fanciest hotels in the city, yet still manages to offer sleek rooms for a little over $100. With a spa and a trendy restaurant downstairs, not to mention complimentary lobby Wi-Fi, The Westin is definitely a lot of people’s first choice. For a more classic option, visit Magnolia Hotel St. Louis for free breakfast as well as prime location on 8th street. For some down-home barbeque that St. Louis is oh-so known for, visit Pappy’s Smokehouse for a delicious plate of ribs, among other dining options. For a fancier occasion, visit Brasserie by Niche, a French restaurant that has the interesting juxtaposition of a Parisian setting. If you’ve run out of things to do in St. Louis, then you’re probably not looking hard enough. For a nice afternoon walk or picnic, visit Forest Park, a huge park that includes its own zoo and science center. If you’d be entertained, see a local performance at The Fox Theatre, a chain of venues that always manages to look unique.